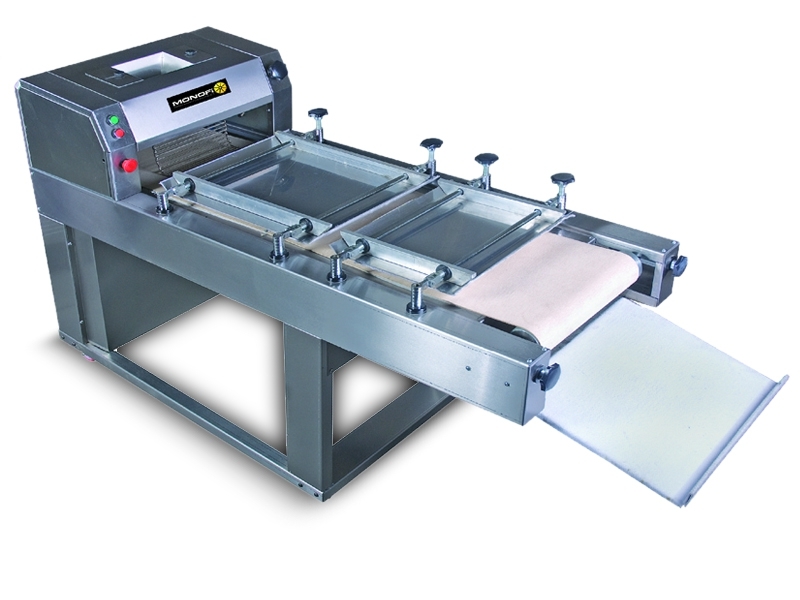 This machine is suitable for all dough pieces, including tin bread and small baguette. This machine has a pair of polyethylene roller gap is stepless adjustable betvveen 0-25 mm. All rollers are equipped with nylon scrapers which are fıxed to the frame. The curling chain is made from stainless steel. Pressing board is adjustable and can be removed for cleaning purposes. Maximum moulding length is 420 mm.